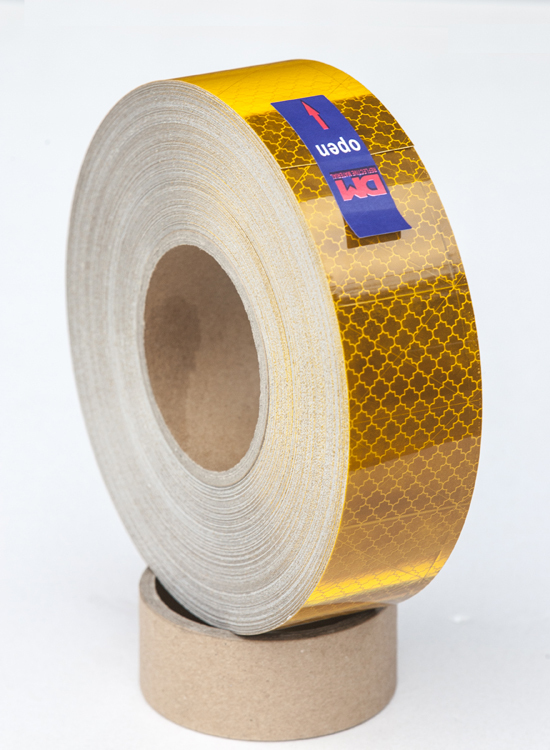 DM9600 Conspicuity Marking Tape is a tough weather resistant product designed for rugged outdoor use.The material is intended for application as conspicuity marking on trucks and trailers. DM9600 products have got ECE certificate , it is only one by VCA approved in China; also the fourth company in global. 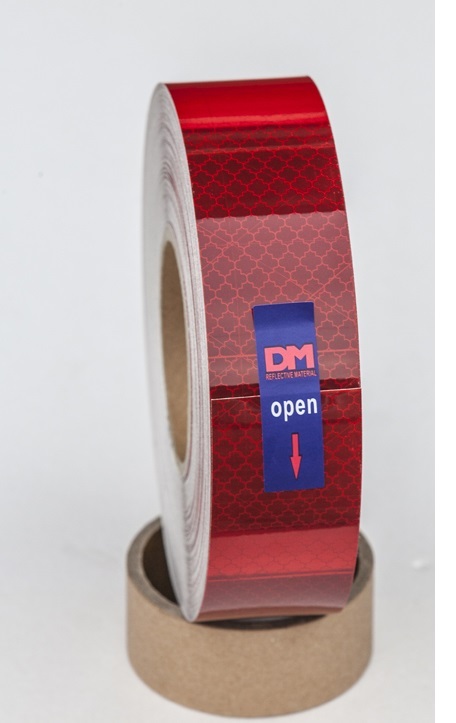 DM is a leading manufacturer of the reflective material in China, one of the biggest companies producing Reflective Sheeting, reflective fabrics, photoluminescent films and conspicuity marking signs and tapes in the world-wide. 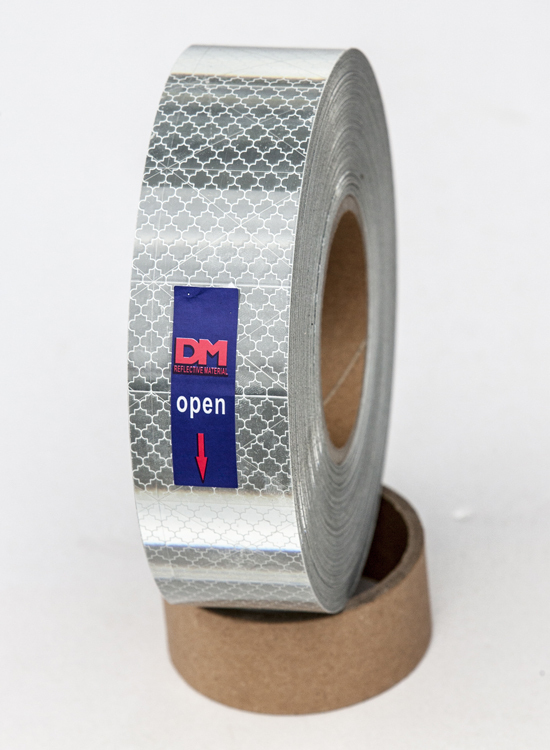 DM developed various kinds of reflective sheetings by it`s own patent. 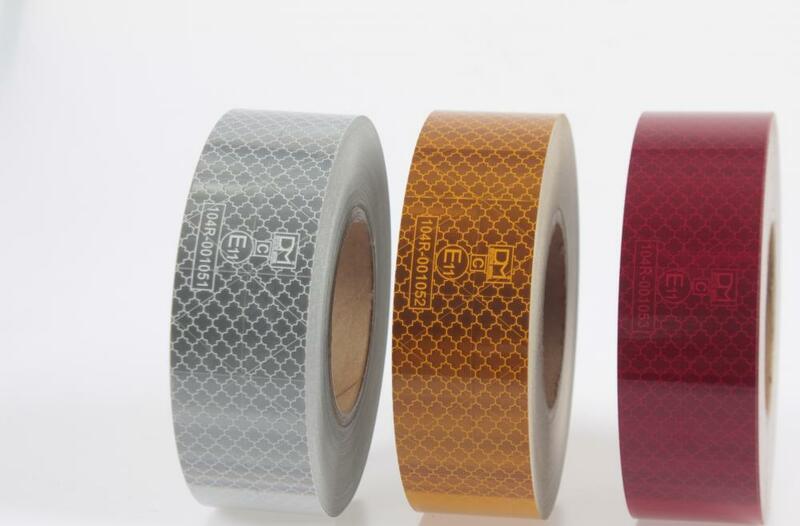 DM is the first company developing prismatic reflective sheets in China,and has been becoming the very important competitor of 3M, Avery Dennison and other manufacturers. DM products comply with and exceed specifications of ASTM D 4956, EN12900, ISO 7591, L-S-300C, AS/NZS 1906, EN ISO 20471, ANSI 107, ECE R 104 etc.. DM is dedicated to develop, produce and sell the high quality reflective material and trying the best to make every customer/partner satisfied. Looking for ideal Reflective Manufacturer & supplier ? We have a wide selection at great prices to help you get creative. All the ECE are quality guaranteed. We are China Origin Factory of Reflective. If you have any question, please feel free to contact us.